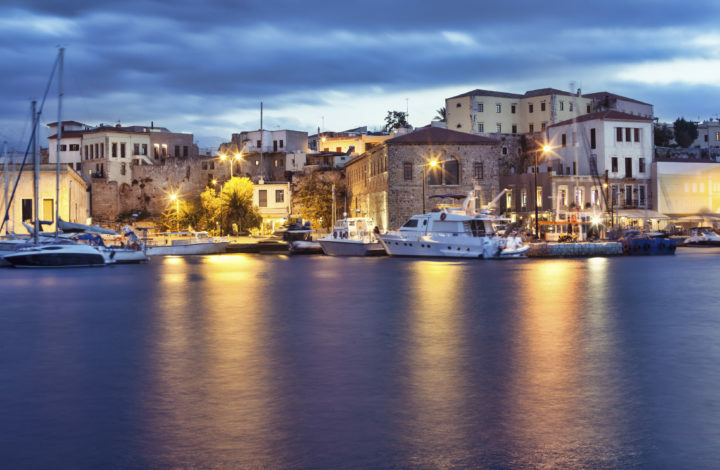 Chania is a beautiful city and could take several days to explore by itself. However, the surrounding countryside also has its charms. With its lush hills and craggy mountain terrain, journeying outside of Chania gives you a glimpse of Cretan life at its hardiest. With easy access to some of the best natural scenery in Greece, it’s easy to see why most people who leave Chania are eager to return. The Samaria Gorge is the longest gorge in Europe and one of Crete’s most popular destinations for Greeks and tourists alike. It’s an eleven-mile day hike but the scenery is so stunning, it’s worth it. Not only that, but it is a unique experience you can only do on Crete. The best way to do this hike is to take a bus from Chania to the trail-hide. Once you finish your hike, you will enter an isolated village that is only accessible by boat. After lounging on the black sand beach for a few hours, you can take the ferry back to Chania. If you want to simplify the process, consider joining a tour group. 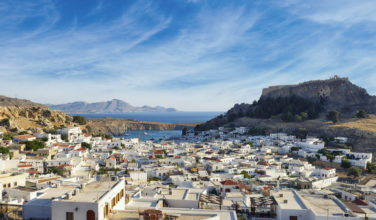 Aside from being one of the prettiest beaches on Crete, it’s also historical. During the Greek War for Independence, the Ottoman Turks landed here in an effort to subdue the Cretan revolt. 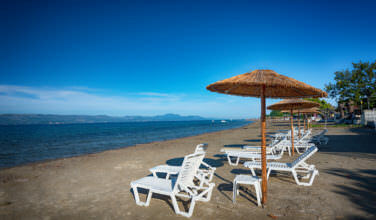 Spend your day swimming in the warm water and lounging on the soft sand. Bring your lunch to have on the beach before heading back to Chania. If you’re driving yourself, be aware that this beach is at least ninety minutes from Chania. There are also plenty of guided trips that will take you to the beach and also some area landmarks, like the Monastery of the Chrysoskalitissa. While exploring the area around Chania, you may have noticed those little trains carrying small groups through countryside around the city. These tours are incredibly fun and diverse and give people a chance to see what life is like outside the city. Stop at a local vender to buy authentic Cretan olive oil. Visit a few wineries. Tour some of the smaller area gorges. Each tour offers something unique. To join one of these train rides, ask your hotel for more information. They’re also very efficient and usually run on schedule. The Palace of the Knossos is around three hours away from Chania but if you have limited time on Crete, it’s worth the trip to see this amazing historical site. The Knossos Palace is one of the Seven Wonders of the Ancient World and is the most well known example of a traditional Minoan palace. There is a lot of lore that originated here, too. Legend has it, for example, that the Minotaur’s Labyrinth was located here. After visiting the palace, be sure to spend some time exploring Heraklion. 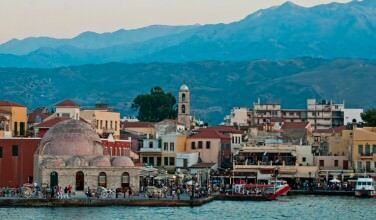 To make this process much easier, you may want to take a guided tour from Chania. As you can see, there are plenty of day trips that you can take from Chania. Just be sure you give yourself enough time to also explore the city!